HEIGHT ADJUSTABLE - Ergonomic mobile stand up desk computer workstation is height adjustable from sitting to standing. 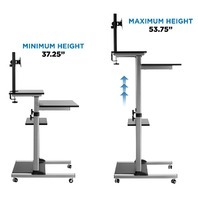 The desk also comes with a premium monitor mounting arm to raise your computer screen. 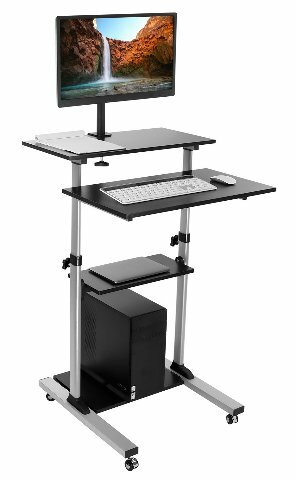 STAND-UP PORTABLE DESK - Ideal for use as a stand-up portable computer office desk and can also be used as a speaker's podium. 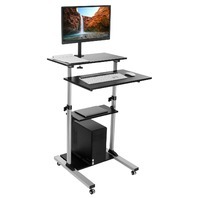 AMPLE ROOM - Rolling computer cart has 4 platforms to store monitor, laptop, keyboard, printer, CPU, PC tower and speakers. 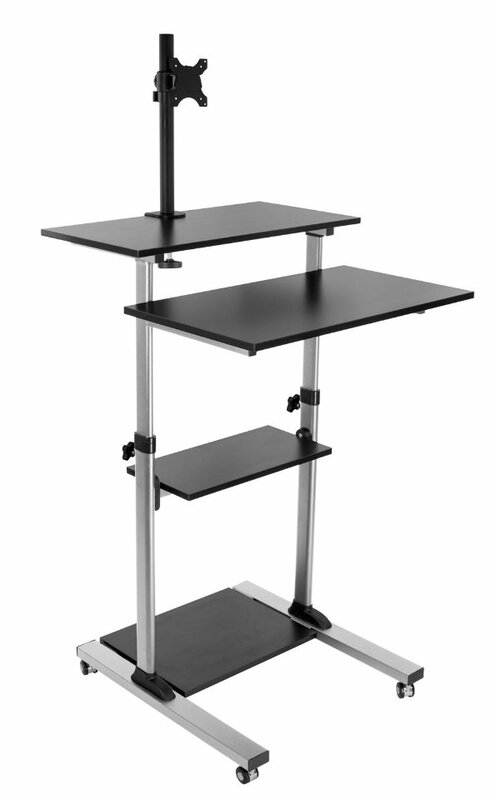 The height of top two shelves are optimized for ergonomic laptop/keyboard and monitor placement. 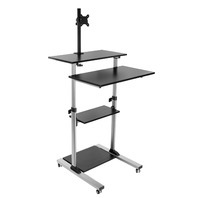 HEAVY-DUTY - Standing computer cart has a weight capacity of 132 lbs, with about 33 lbs capacity for each shelf. 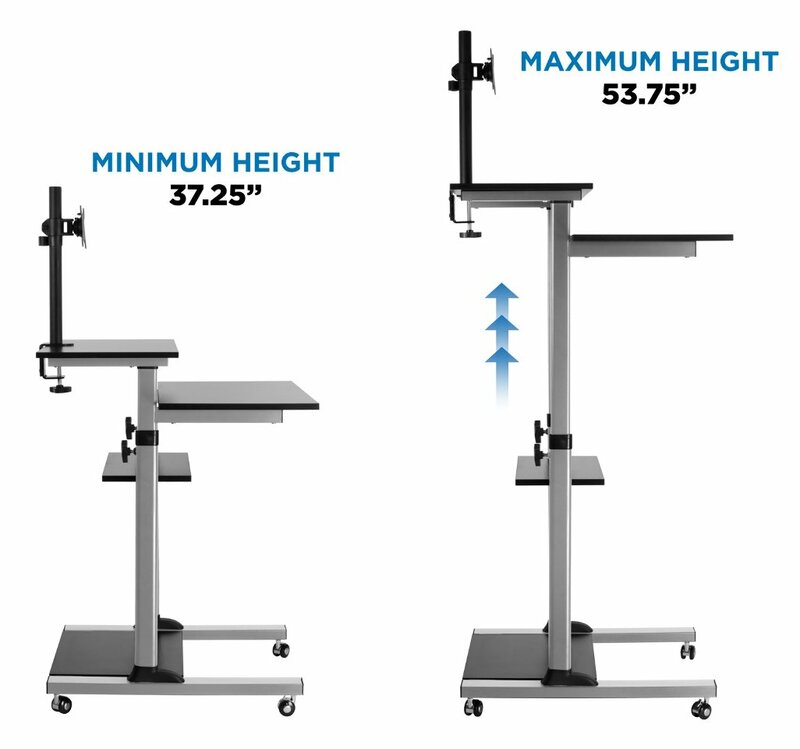 The top two platforms are height adjustable up to 17 inches with 11 locking intervals. New in open package, unassembled. 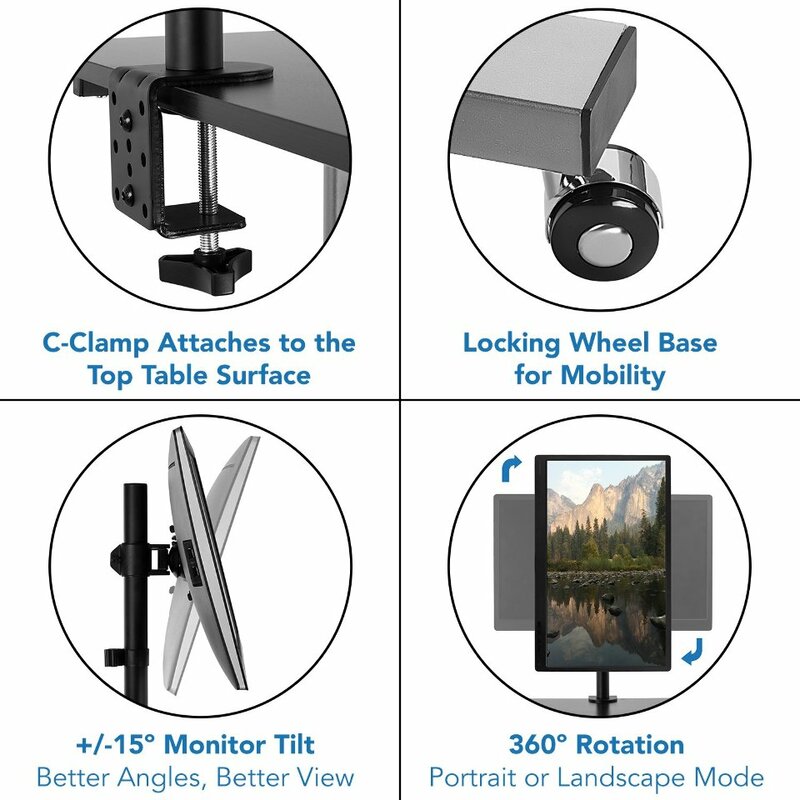 Notes: New in open package, unassembled.